Dear to the hearts of area residents old enough to have spent time there, the former Grand Rapids Public Museum building at 54 Jefferson Ave. SE is awakening from a long sleep. 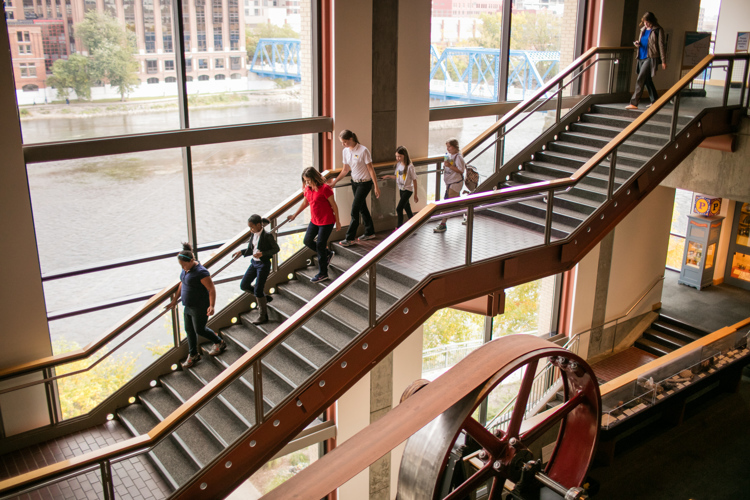 Next fall, ninth-grade students from the Grand Rapids Public Museum School will claim it as their high school. 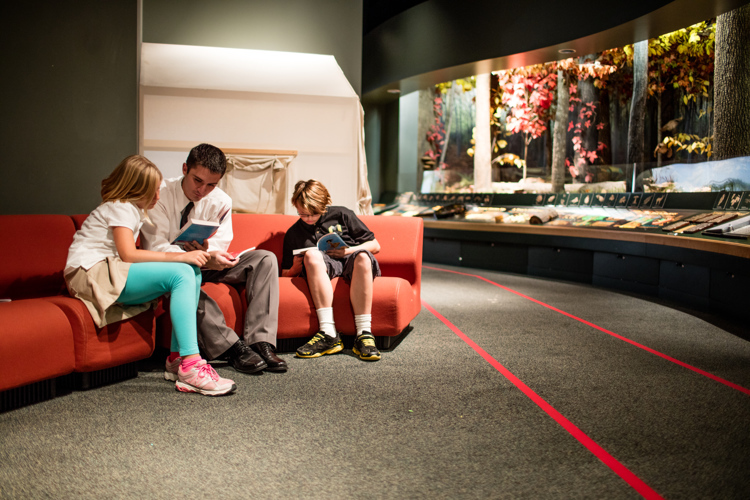 Thanks to a partnership that includes Grand Rapids Public Schools (GRPS), Grand Rapids Public Museum, Grand Valley State University (GVSU), Kendall College of Art and Design (KCAD), City of Grand Rapids, and Downtown Grand Rapids Inc. (DGRI), the Museum School opened as a middle school at the Grand Rapids Public Museum in 2015. The students who attended there as sixth graders in 2015 will be high school freshman in the fall of 2018, the first class of students attending the new Museum School High School at 54 Jefferson St. SE. While middle school students will continue to attend classes at the GR Public Museum at 272 Pearl St. NW, the former site of the museum will expand the school’s offerings to ninth through 12th grade. A look at the institution’s history reveals that the high school will not be repurposing the building, but rather, living out its purpose in a new century. Founded in 1854, the Grand Rapids Lyceum of Natural History soon after merged with the Grand Rapids Scientific Club — a group of Grand Rapid Central High School students — to form the Kent Scientific Institute. The Institute was administered by the Grand Rapids Board of Education. Its artifact collections were displayed at Central High School. In 1903, the Board of Education purchased a home on the corner of Jefferson and Washington streets to house the collections for nearly a century. Robertson notes that as the oldest museum in Michigan, Grand Rapids Public Museum has the second largest collection of artifacts, with ninety percent of them donated by people of West Michigan. “There is an implied promise that these need to be used for a noble purpose, education and inspiration,” he says. 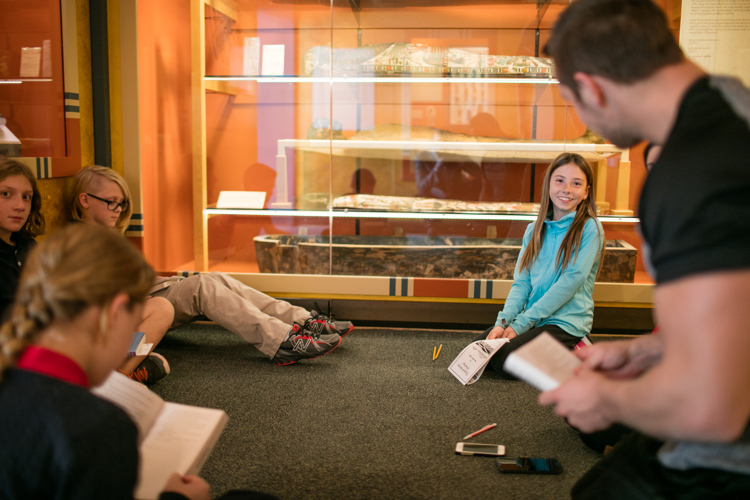 Museum School students will also actively engage in cataloging new artifacts that come into the collections as part of their curriculum. 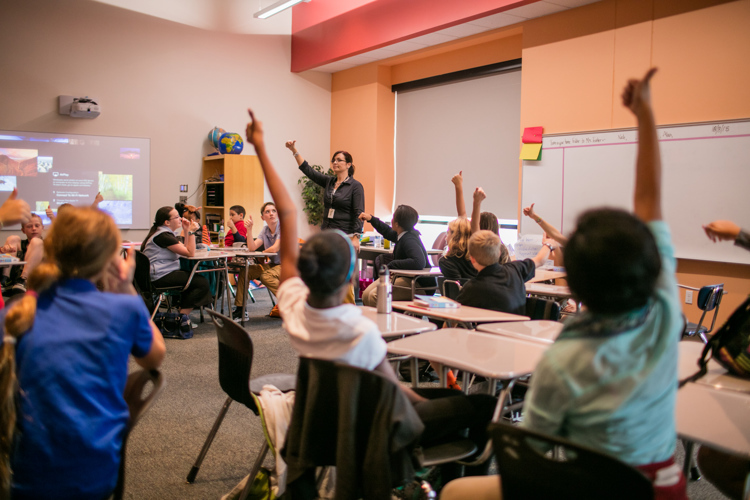 The Museum School was one of ten schools nationwide to win a $10 million grant from the XQ Institute "Super School Project," funded by the Emerson Collective and led by Laurene Powell Jobs, wife of the late Apple CEO Steve Jobs. Nearly 700 schools across the nation applied for the grants. Approximately $4.5 million of the grant dollars are funding construction. 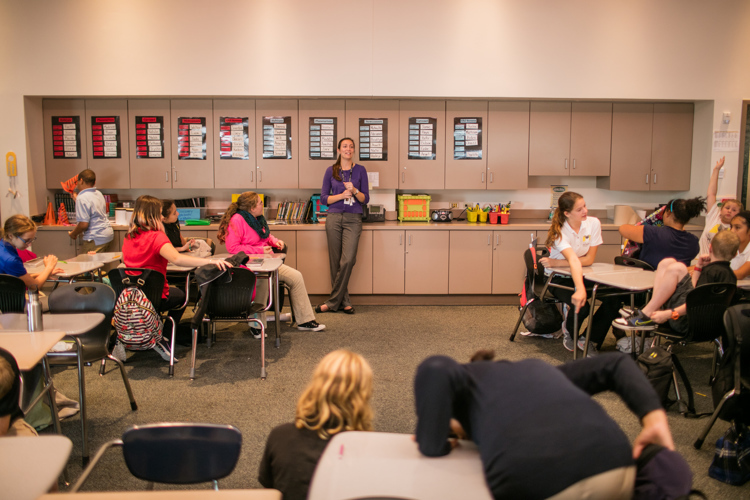 Remaining dollars are funding development of the Museum School’s high school curriculum, which not only centers on the Museum’s 250,000 artifacts but also uses the surrounding community as its classroom. The curriculum will also involve students in the Grand River revitalization project. They will work alongside scientists broaching the ecologically important task of restoring the river’s lost mussel population. “We are doing a lot of things with that money, which is really exciting,” says Dr. Christopher Hanks, Museum School principal. For example, a high-tech computer platform will present holistic, real-time information on student progress to teachers, parents, and students via an easy-to-access dashboard. Going light-years beyond the traditional report card—course name and letter grade —the platform synthesizes information from multiple sources to provide assessments and enable students to build their own digital portfolios. Curriculum buzz-words build brain power: Design thinking. Place-based education. Kevin Hollohan, assistant professor, Grand Valley State University Educational Foundations department, began working on the Museum School’s middle school curriculum three years before it opened in 2015. 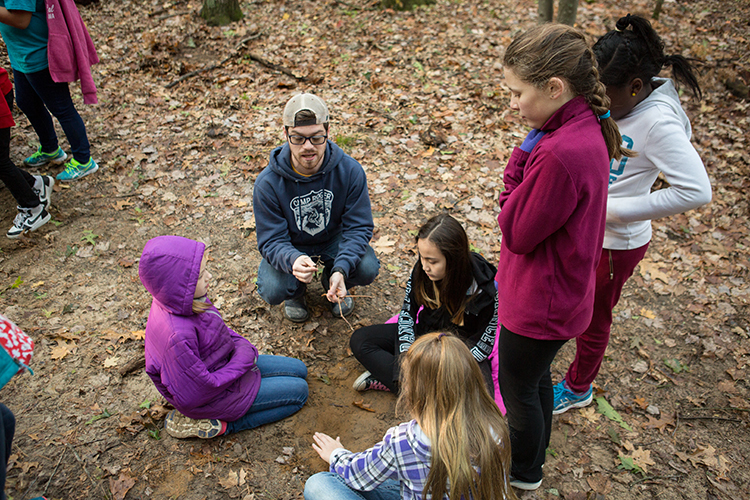 He believes in place-based education because it connects students to their communities and the natural environment, socially and culturally as well as academically. 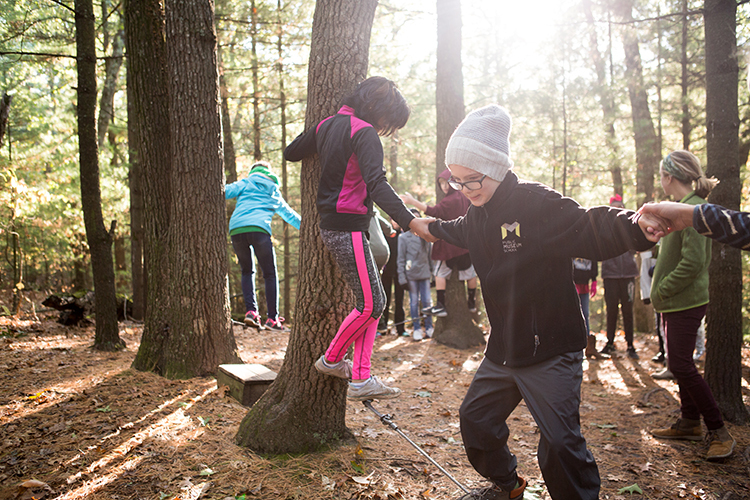 Because teachers have the freedom to take kids outside the classroom and into the community (within a two-mile radius from the school), the community becomes the classroom. Gym class can be ice skating at Rosa Parks Circle. 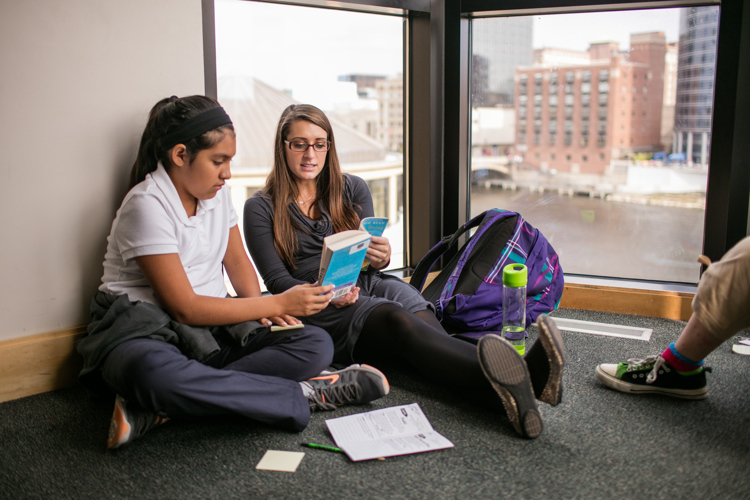 Instead of a small school library, students can use the entire Grand Rapids Public Library. They can go into government buildings to experience civics lessons and do art and design projects at KCAD. Hollohan is especially pleased that enrollment is noncompetitive. Any student from within the district, and some from outlying areas, can apply via lottery. All have equal opportunity to attend, regardless of test scores or previous issues. 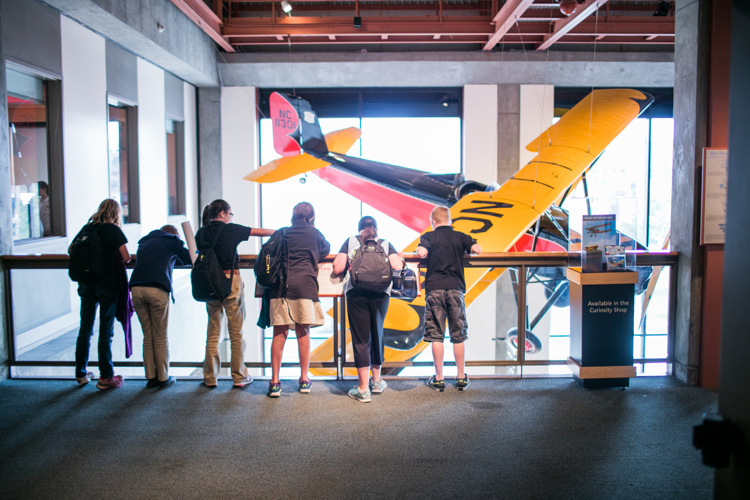 The other buzz-word shaping the Museum School curriculum—design-thinking—encourages students to be curious, creative, and collaborative. By definition, design-thinking uses “creative problem-solving process where information is collected and expressed visually or physically (prototyping) in order to create new strategies, develop ways and methods to solve problems, create opportunities, or strengthen weaknesses.” KCAD adds expertise in design-thinking to the curriculum team. KCAD staff and students work on projects with Museum School students at the school as well as at KCAD facilities. For example, students can go to its Materials Lab to access the second largest collection of manmade and natural materials in the country. Another Museum School partner, the City of Grand Rapids, recognizes that the Museum School is an investment in the City’s own future. Almonte believes having such an innovative and creative teaching model in a public school is an essential piece for making Downtown Grand Rapids attractive to families. Architect Lott agrees.